The CBA is very excited for our annual end-of-season weekend - March Madness 2019! For those of you who haven't experienced March Madness (previously All-Star Weekend), this is the final game (for Sparrows & Robins) and year-end tournament (Blue Jays - Hawks) for each of our leagues. Players will be announced before the games, teams will line up for the National Anthem and halftime activities include shots for $1 (win $10 if you make it) from varying distances based on age! Sparrows (Kindergarten) and Robins (1st-2nd) players will receive their medals after team introductions before the game! Blue Jays - Hawks (3rd - 8th) tournaments will be single-elimination where teams will compete for the rights to their very own CBA Champions t-shirts for each league! This is a great event for players to invite family and friends to come cheer your kids on throughout the weekend! CBA March Madness 2019 t-shirts! PURCHASE AT CBA MARCH MADNESS 2019! We are very excited to announce the launch of our online CBA Spiritwear and Apparel store! You can find a variety of CBA-branded t-shirts, long-sleeved shooting shirts, sweatshirts, bags and more! We are starting with one mass order that will be delivered to your leagues and coaches for the January games right after the holidays. Please refer to the "Rec" tab above and find your respective league for the most up-to-date game and practice schedules for each league. Practices start on Saturday, December 1 and the first game (for all but Sparrows) will begin on Saturday, December 8. 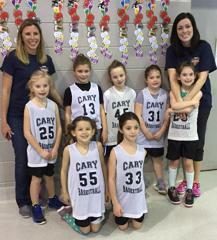 The CBA Picture Day (for Sparrows - Hawks leagues) will take place on Saturday, December 8 from 9 a.m. - 12:30 p.m. at the Cary Junior High Aux Gym. Below is the detailed schedule - please refer to your team name and league to identify your specific time slot. The 2018/2019 CBA season kicks off the weekend of November 30 - December 2, 2018 and all leagues will start practices and games. For specific league schedules and director contact information can be found on the respective "Rec" tab for each grade level. Should you have any specific questions or concerns, please reach out to your league directors and/or coaches once they've been assigned. We look forward to a fun CBA season and always value your feedback! 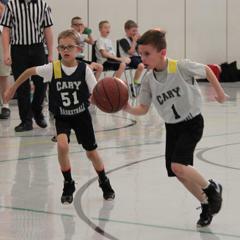 Since 1993, the Cary Basketball Association has been providing basketball opportunities to the youth in our communities - kindergarten through high school. 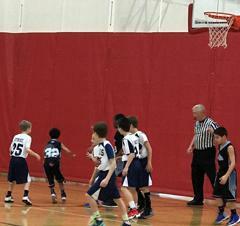 Today, the CBA offers both recreation and more competitive "feeder" program opportunities. 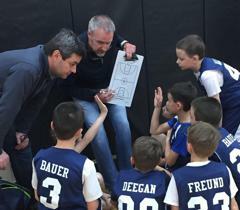 Grounded in good sportsmanship, the CBA provides the opportunity for players of all ages and skill levels to play with friends and compete at the highest level. Seeking Referees & Scorekeepers for 2018/2019 Season! If you are interested in becoming a CBA referee or scorekeeper for the 2018/2019 season (beginning in December) - please click on the link below or visit our "CBA Staff" section for more details. Applications must be received no later than September 30, 2018 to be considered. ©2019 Cary Basketball Association / SportsEngine. All Rights Reserved.